Flea beetle (Sphaeroderma testaceum) on a spear thistle (Cirsium vulgare) leaf. 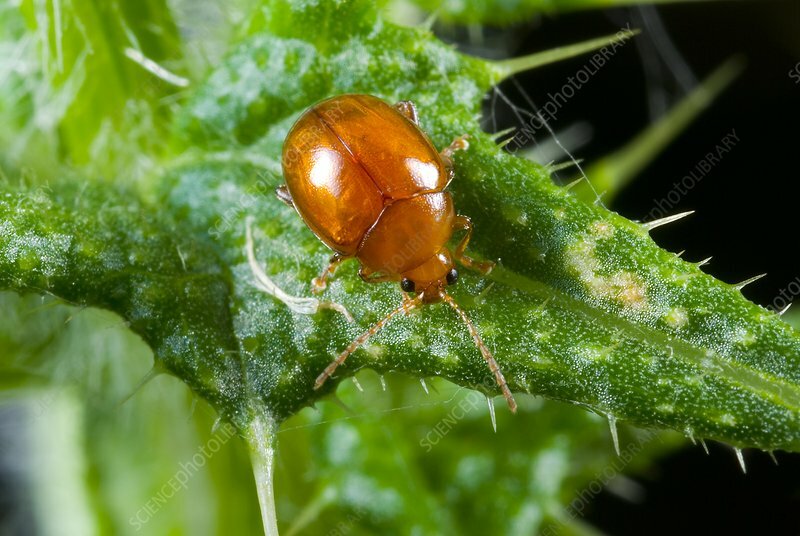 This insect is a species of leaf beetle (family Chrysomelidae). Photographed in Zagan, Poland.